Connecting marine electronics together is an important goal for modern boaters. Many different ways exist to do this, but most require gateways or direct connections to larger equipment. Once you have them connected, configuration and being able to use all the data effectively from as many devices as possible is usually the next challenge. 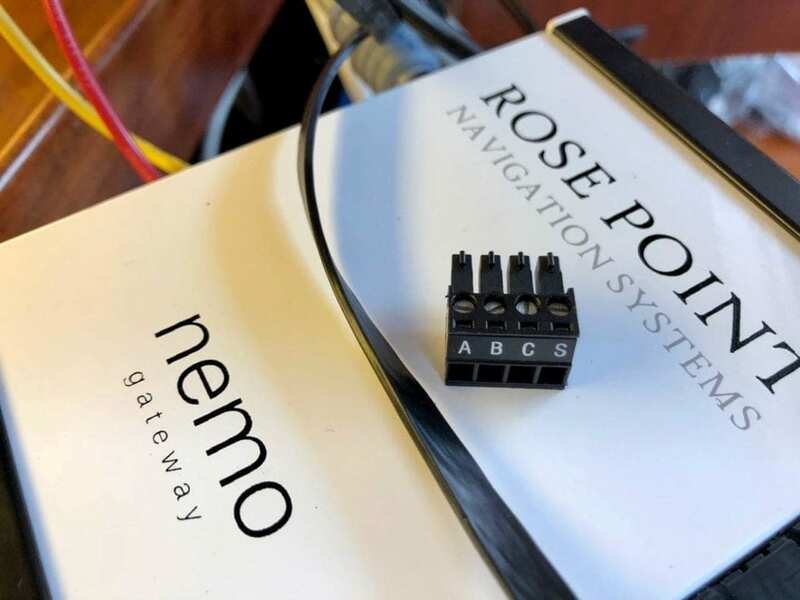 The Nemo gateway from Rose Point is an easy way to connect everything together, while also easily providing high quality, frequent data to a number of sources. Rose Point is one of my favorite manufacturers because of Coastal Explorer. I’ve used it since 2007, and I think it is the best PC navigation software you can buy. They have a great relationship with their customers, and a very open way of doing development that other manufacturers should really try to emulate. When I heard they had developed a gateway product, I was very interested in it given their reputation. The Nemo hardware is a thing of beauty. It is a well milled piece of metal with some heft to it. All of the connectors are removable terminal blocks which make it easy when wiring. It can accept a wide DC input voltage of 8-32v, and draws 0.2 amp at 12v, and 0.1 amp at 24v – nice for us sailboaters with smaller power reserves. On one side you have a NMEA 2000 port and power, as well as a USB accessory port for a Rose Point GPS system if you have one. On the other side is a bevy of NMEA 0183 connections and an ethernet port. For 0183, you have two talkers and 4 listeners. I ended up connecting my VHF radio to the Nemo since it only has NMEA 0183. Removable terminal blocks are great to get the fiddly little undersized wires used in NMEA 0183 securely connected and working. One of the more interesting things about the gateway is how easy it is to setup. 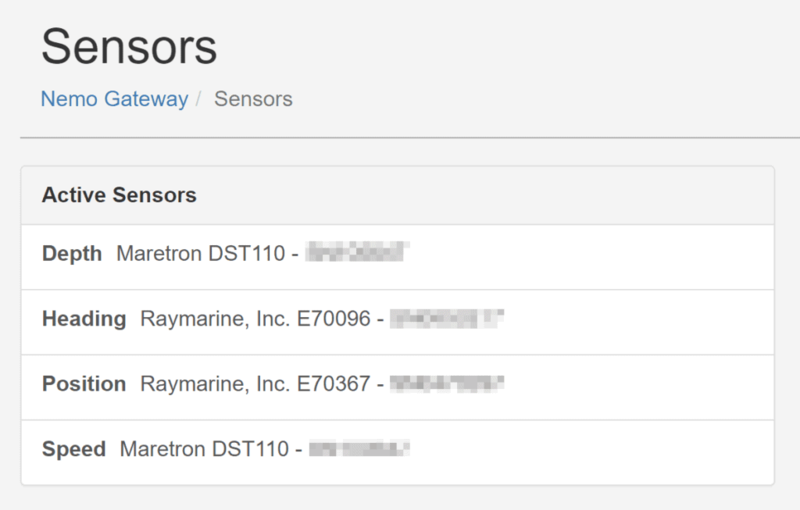 After initial connections to my NMEA networks and power, I was immediately able to connect to it and see sensors and data flowing correctly. This is seriously one of the quickest configurations that I’ve ever had for a marine gateway or other similar device. Most of them require defining all sorts of things before any data even flows, or require other hardware/software to get started. I initially accessed the Nemo via its built in webserver, but you can also use Coastal Explorer (more on that below) or Android or iOS apps. It has the usual settings you would expect – networking, firmware updates, security options, etc. plus a lot more for the actual devices connected to it. One thing that is nice is the ability to set a password. You’d be surprised how many marine electronics have static, crappy passwords, or none at all. You can change just about anything you could need – in the example above, if you have two position sensors, you can drag them into the order you would prefer or disable individual ones. Clearly the Nemo designers thought a lot about user experience – the device is quick to get going, easy to use through a web browser, and doesn’t require clunky software. One of the best features of the Nemo gateway is the ability for it to automatically configure itself inside Coastal Explorer. To start, make sure your computer is on the same network as the Nemo, turn it on, and open up Coastal Explorer. If you have a modern version of CE, it will detect the Nemo on the network, auto-configure, and you’re ready to go! 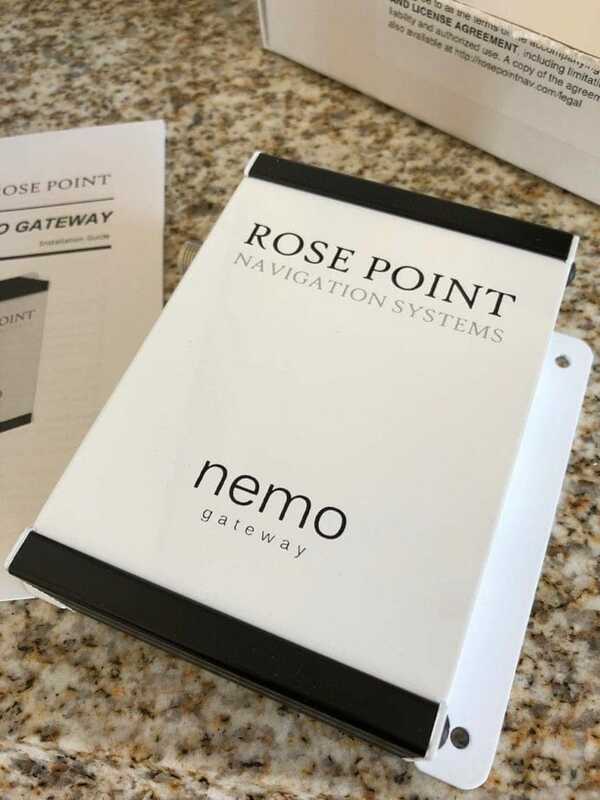 In Settings under Electronics, you’ll see the Rose Point Nemo Gateway automatically configured and working in the list of devices. In my case, you can see a Vesper AIS device and iKommunicate which I also had configured. You can interact with the gateway directly from Coastal Explorer. It looks like Rose Point have wrapped the entire web interface for the device inside of CE which allows you to do anything you could do directly on the webserver without leaving the program. This makes for a seamless experience in one place, which is nice if you are a heavy Coastal Explorer user. I have found the frequency of data from the Nemo to be much higher than all other gateways and products I’ve used in the past. Part of this is because of the way they send the data out from the gateway – something called multicast. Most devices have services that wait for your computer to connect to them, negotiate some bits, and then the two happily talk to each other without bothering anyone else (commonly called unicast). Multicast means that the Nemo gateway is sending out all of the data from all of your devices to your network, all the time, for every device to consume. 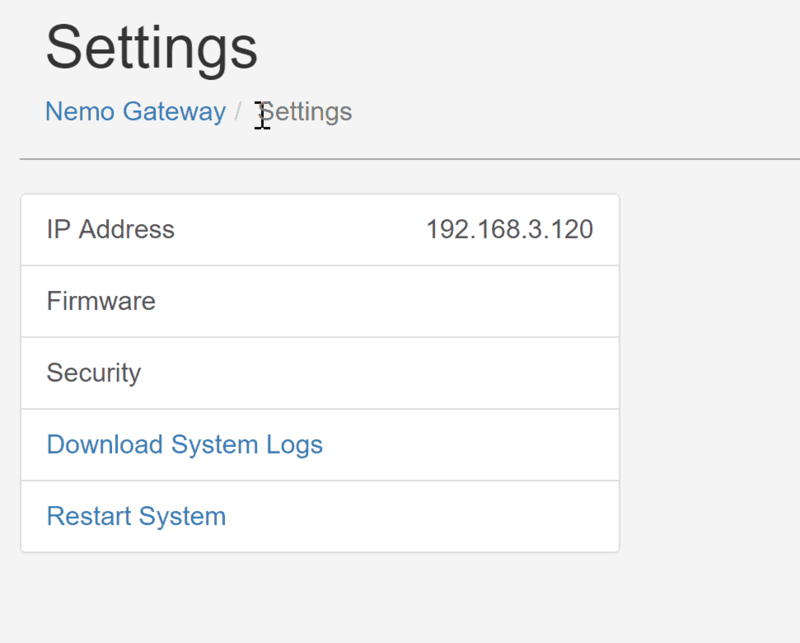 This is the default configuration, and makes it easy for you to get started using the gateway. It also allows other apps to immediately start consuming the data without much configuration. 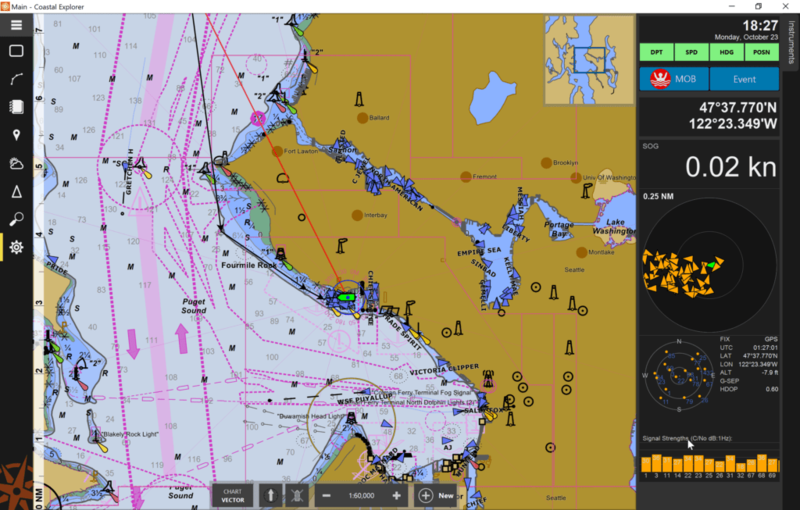 Whether you use Coastal Explorer or a web browser to interact with the Nemo, there are a wealth of settings and screens to interact with. Not only can you configure the device, but the depth of information you can see on the network, devices, and data is amazing. 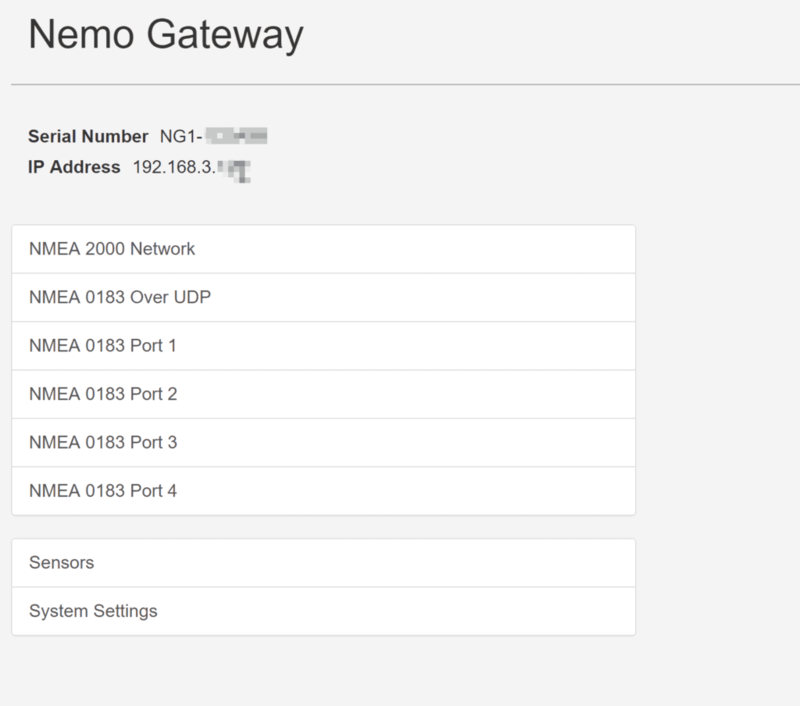 I actually use the Nemo gateway as a debug tool when working on my NMEA networks. 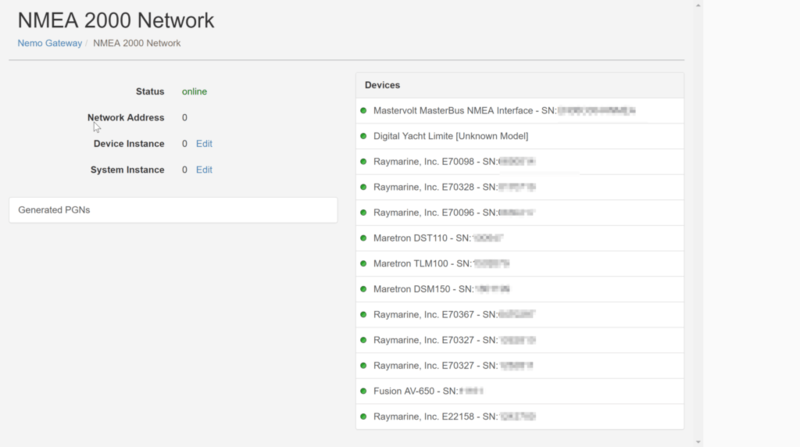 The NMEA 2000 Network detail page shows all of the connected devices on your network and their status indicated by a little dot – whether they have been active on the network recently. This has been great when I have been hacking on my network to make sure everything is still powered up and connected. Here’s where my geek gets even more excited – the amount of data, presented in a usable fashion, without complex PC programs or debug stuff, is simply excellent. You can see above my Raymarine Axiom chart plotter and all of the types of data it is sending. The data itself is not decoded, as I suspect that would require a lot of custom formulas and conversion, but I can see that the chart plotter is sending what I would expect it to send. 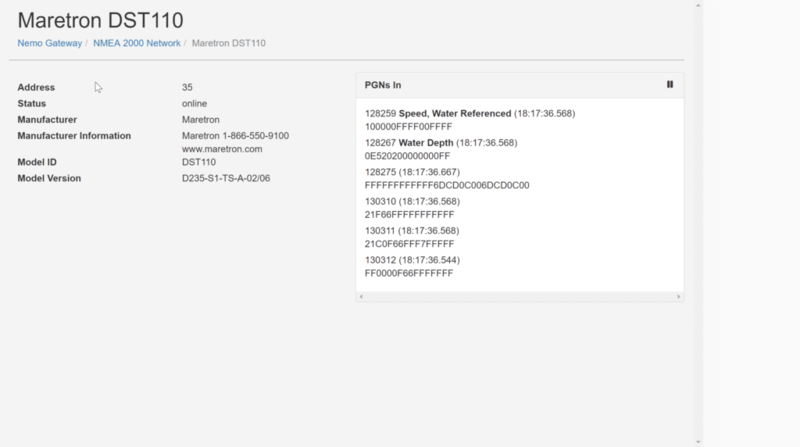 Here’s another example showing my Maretron depth, speed, and temp sensor. 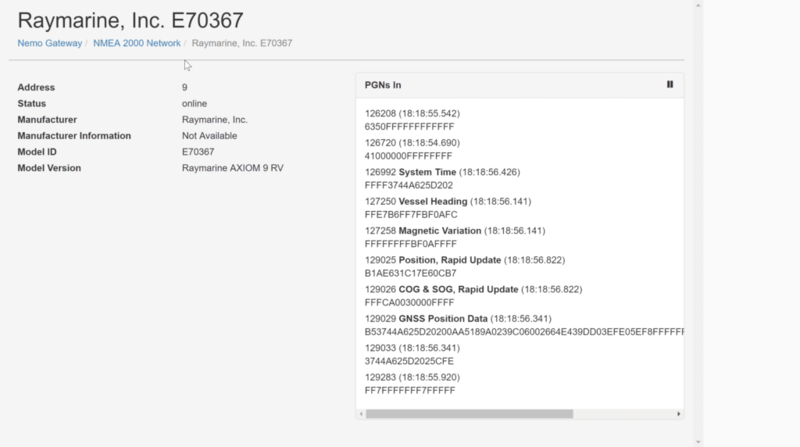 You can see the identified PGNs that the Nemo has highlighted in bold, and the data changes as fast as it is coming through the gateway, which shows you that things are working / being transmitted. 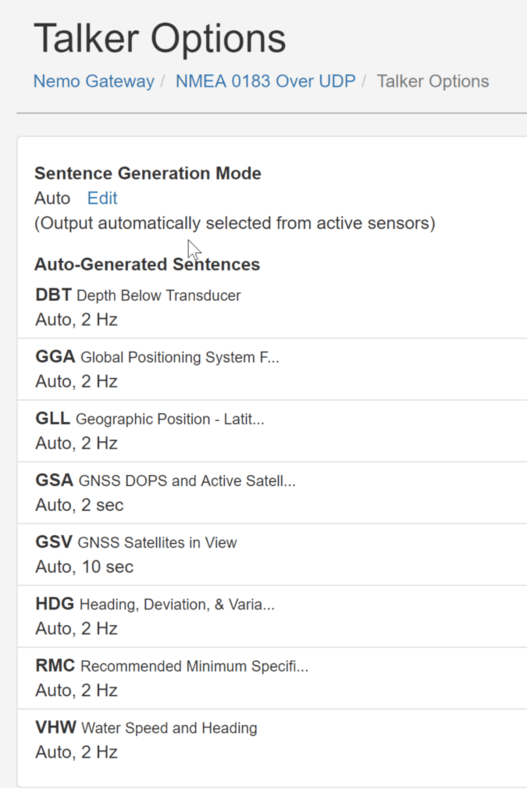 Similarly, NMEA 0183 also shows all of the sentences coming into the gateway. Above, you can see my VHF radio sending AIS data into the gateway. In the case of NMEA 0183, sentences aren’t decoded, but having lived in that world for years, I know that AIVDM are AIS target updates from various ships. Most helpful with 0183 is the fact that you can see data flowing through, knowing that you got your wiring correct, and that baud rates at both ends are setup correctly. 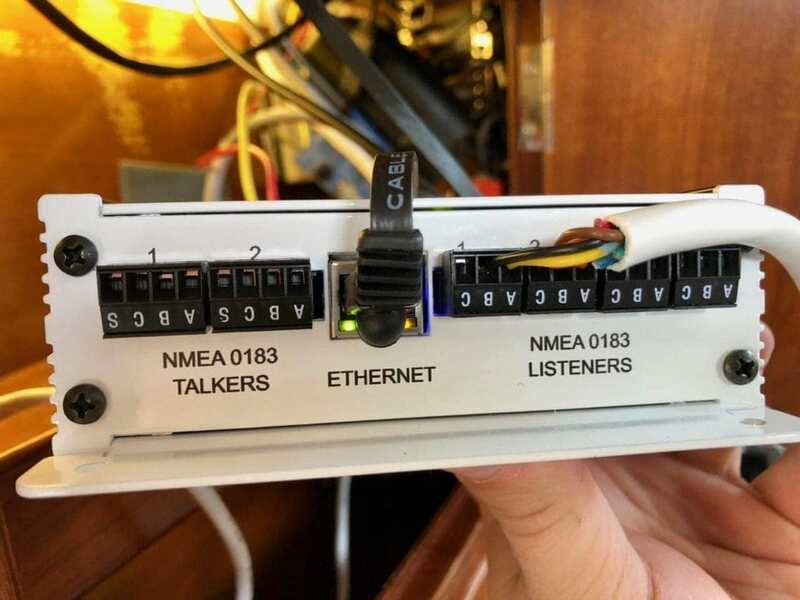 NMEA 0183, while quite old, is still present on many boats. I have a VHF radio that still uses it, and I want its data on all of my networks. 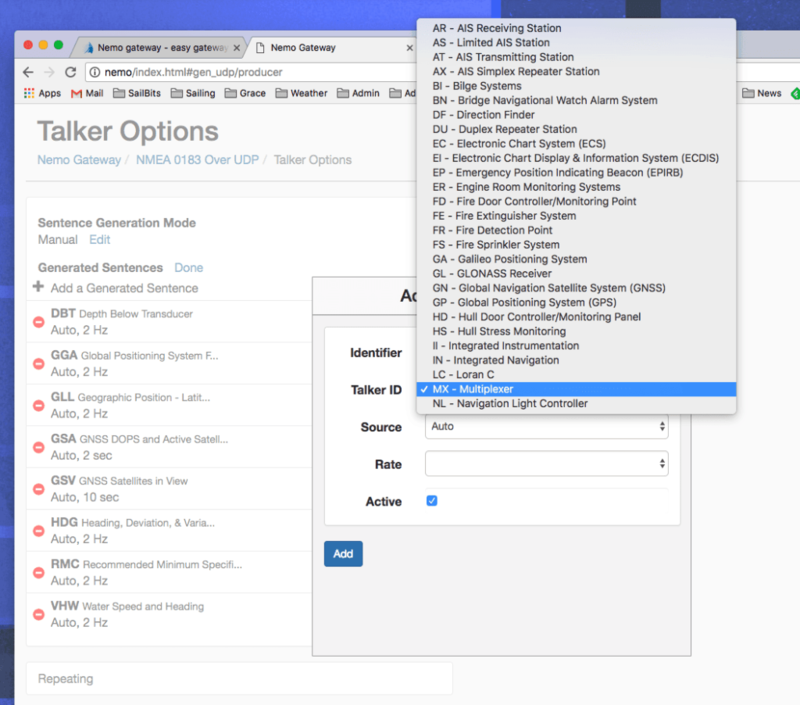 With the Nemo gateway, you have 2x talker ports and 4x listeners that you can leverage for that older equipment, which is quite a bit more than I’ve ever seen on a single gateway product. 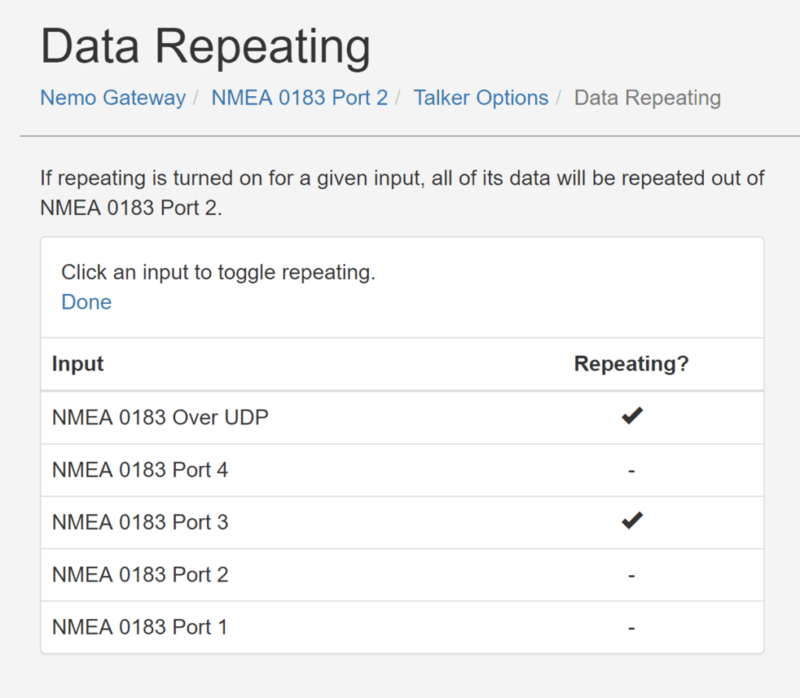 For mobile apps that need NMEA 0183 over your ethernet network, like iNavX, NMEAremote and others, you can configure NMEA 0183 over UDP. 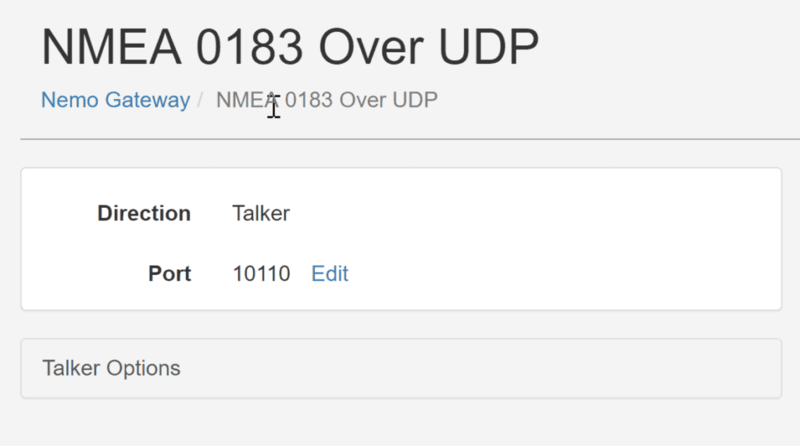 This sends out a UDP stream of NMEA 0183 data on port 10110 that you can use with other apps. 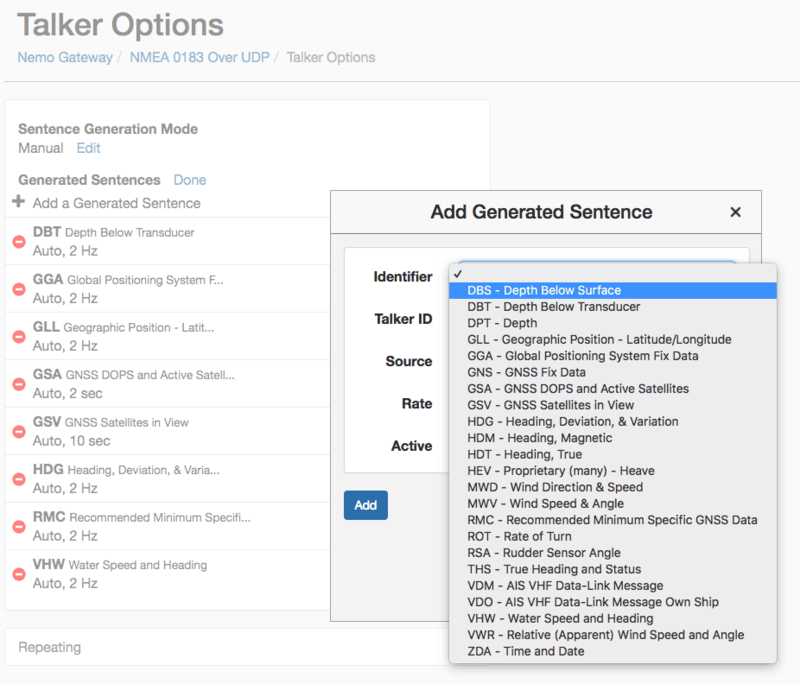 Beyond just turning it on, you can choose what sentences you want sent out over UDP and adjust many other parameters. Besides the different sentences, you can change the frequency at which they’re sent, the source of the data, or completely turn them off. 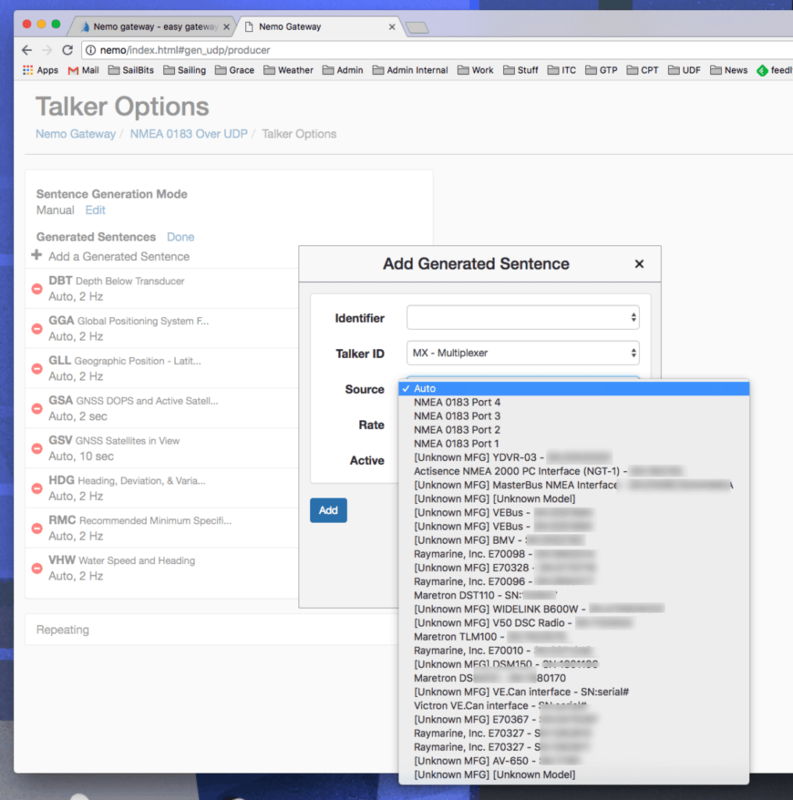 First, you can choose the sentence you want to generate, and there is a pretty extensive list to choose from. 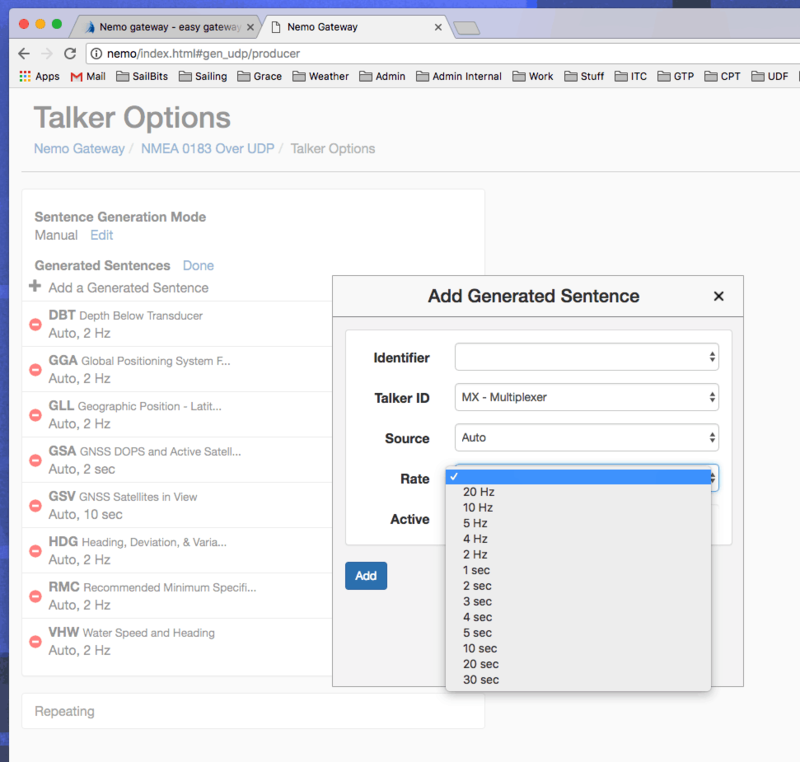 Next, you can choose the talker ID that the data should show up from – this is an option I have very rarely seen on any other gateway without advanced configuration. You can choose the source for the data itself, if you have multiple devices that generate the same type. Finally, you can choose the frequency for updates in quite a wide set of options. Many other gateways that I’ve used have some of these features, but they require absolutely terrible PC software (usually does not work on Mac) or adapters, or esoteric understanding about sentence names and types to configure. Rose Point have made their gateway not only supremely configurable, but usable by anyone. Clearly their attention to user experience and design from products like Coastal Explorer have flowed into the Nemo. There are Android and iOS apps for the Nemo gateway which allow you to interact with the gateway without using a web browser. I’ve used it for quick debugging on my network while away from the computer. The interface is a carbon copy of the web interface, which makes it easy to transition between one or the other. Just like with the web interface, I can see data flowing in from my depth sensor, but in this case, I can see it quickly on my phone. One of the most important parts of a gateway is to be able to unify the different networks together, and the Nemo doesn’t disappoint here either. 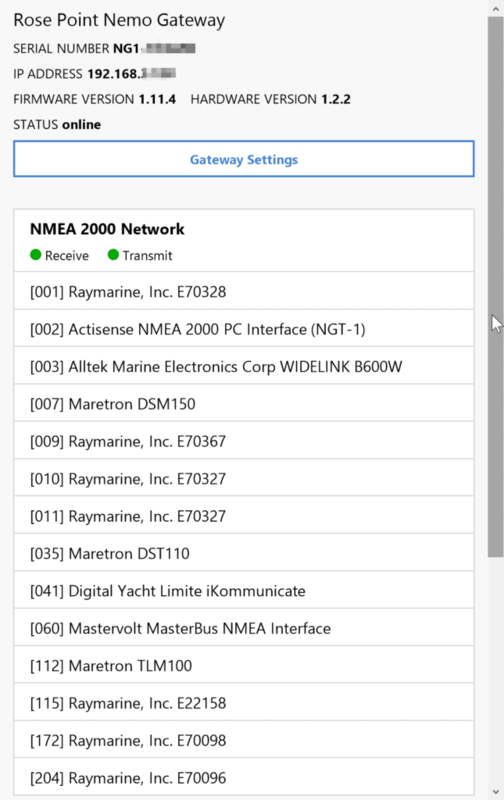 Devices on NMEA 0183 can send things to the gateway, which are sent through to NMEA 2000 and vise versa. 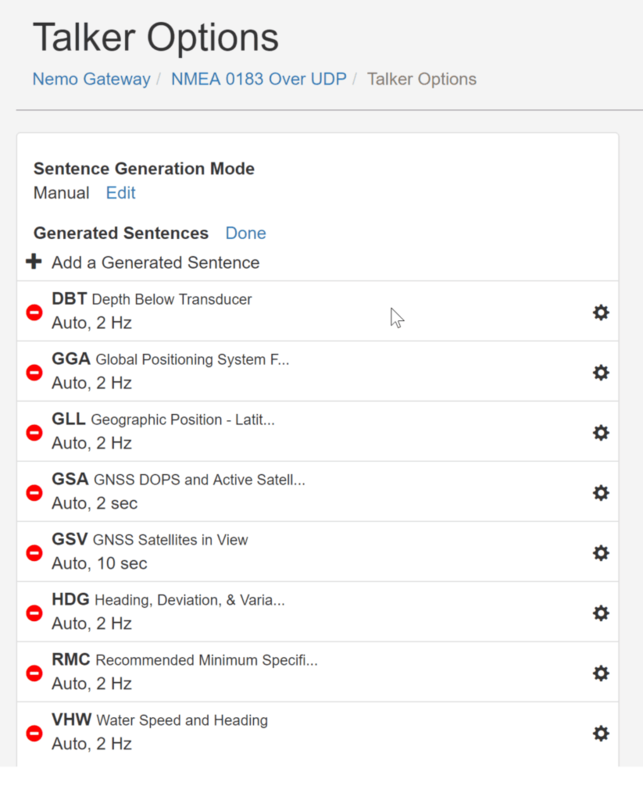 With the options above for granular control over sentence generation on NMEA 0183, you have a lot of flexibility as to what you’d like to send where, from where, and how frequently. 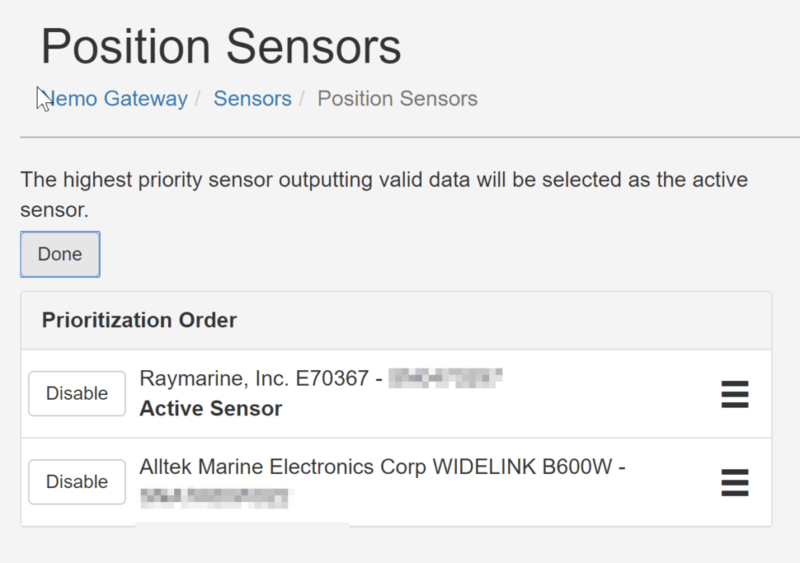 In addition, if you have multiple sensors for Depth, Heading, Position or Speed, you can create a prioritized list of the available sensors so that the one you consider best is used first. In the event that the primary fails, secondary items are used. I have at least 3 heading sensors (Raymarine chart plotter, Raymarine autopilot, AIS) and multiple position sensors (Raymarine chart plotter, AIS, VHF) and this allows me to make sure the one I trust the most is used if it is on and functioning. While a gateways primary purpose is to unify NMEA 0183 and 2000 and provide granularity there, the Nemo also goes one step further and spits all of its data out onto the local network. In todays connected world, it is expected that any network boating device does something to share its data with computers and apps. As covered above, it of course works with Coastal Explorer, but also sends out a UDP stream to port 10110 that devices can consume. I used a bunch of different applications including TimeZero Navigator, OpenCPN, and SeaNav US on my PC and Mac systems. All were easily configured and immediately started showing data. For apps, I’ve used NMEAremote, iNavX, SeaNav US, and a number of others. All were very easy to configure, and worked well. The Nemo would be a great way to have high quality, rapid updating data for PC or tablet navigation as well. The multicast stream and adjustable update rates for specific data types makes the experience more customizable depending on what you are doing – I could see racing folks liking the high frequency updates for performance information, and tuning down the non-essential stuff. One factor in anything I use on my boat is how well it is supported. I look for products that have support included as part of the purchase for a decent length of time, as well as active, open forums or other similar communication methods. Rose Point has always had a great community behind Coastal Explorer, and that continues with Nemo. The same forum system used for CE is available for Nemo, and has helpful people responding both from Rose Point, and end users. 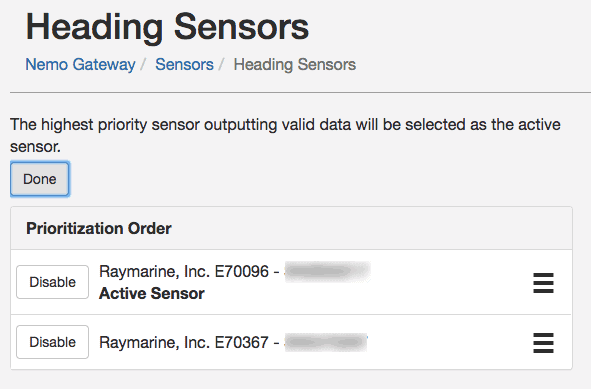 In addition, while I was testing my Nemo unit, I had some weird things going on with one of my Raymarine autopilot components, and Rose Point support was super helpful, very responsive, and got to the root of a rather detailed problem as quickly as I would have expected. It turned out to be something wrong with my network, not their product, but their technical expertise both with their product, and the devices surrounding it was impressive. Thanks to Marius, Garth, and Chris for their help! Gateways (sometimes also called Multiplexers) have been around for a long while. I remember using NMEA 0183 only devices in the early 2000s, and even had a ShipModul brand back in 2007 that allowed 0183 stuff to talk together. Actisense has been one of the biggest names doing 0183 to 2000 conversion, and their NGW-1 is quite popular. However, this requires PC software to configure, and only allows one NMEA 0183 device to connect to the NMEA 2000 network. This solution is around $230. 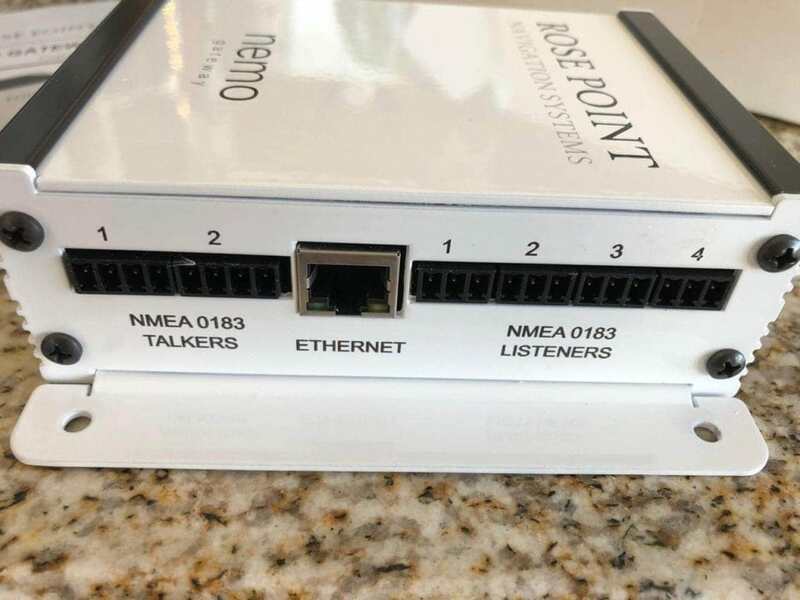 You could combine multiple NMEA 0183 devices with an upstream device, but you’d probably end up paying $200 more for that, and have two different pieces of hardware to manage, and no granularity between who hears/sees what. In addition, this device has none of the WiFi / local network connectivity features at all. Yacht Devices has a similar product in the YDNG-02 for $149, but it is also a single NMEA 0183 device, has less configurability, and has no local network features either. iKommunicate, which I am a big fan of because of my love of SignalK, sells for $300, and has more NMEA 0183 talkers and listeners than the above devices, but still falls short of the Nemo Gateway. It also has extremely limited configuration options for what flows between networks and configuring sentences on NMEA 0183 – it would require a lot of work to even get close to the functionality and ease of use in the Nemo. It also has not gotten many updates since its release, which is a bit worrisome. 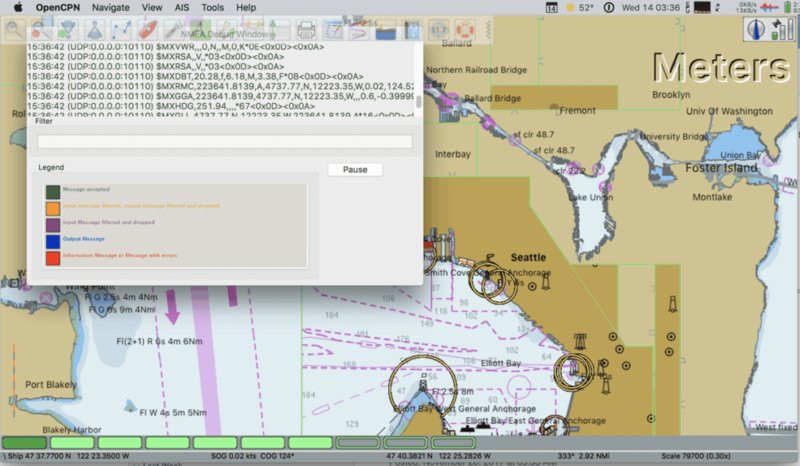 Using a chart plotter is also an option to connect NMEA 0183 and 2000 together. Most of the main manufacturers have at least one NMEA 0183 input and output, some have a few more. The challenge for most configs is cabling length from the 0183 devices to the chart plotter, and the limited configuration options. Most only allow you to connect a VHF radio or AIS device, and have limited control over the sentences that come and go between them. There are forum posts filled with people trying to decode what chart plotters allow through or translate back and forth. You also still have the limitation of only one or two NMEA 0183 devices, and most chart plotters don’t stream data out to other devices very well. The Nemo Gateway sells for $699, and while that is a higher price compared to the above, you are getting a clearly premium product combining multiple of the items above. You don’t have to have programming level experience to get it going, buy additional software or adapters to configure it, and can use it from just about anything without a lot of effort. I personally am willing to pay more for something that is more usable and reliable, and gives me more time to spend on the water. 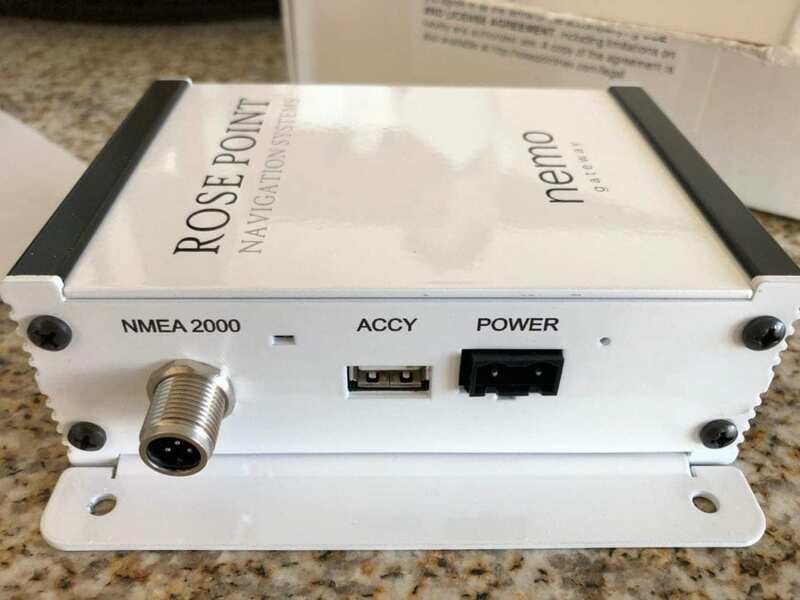 If you need a gateway on your boat to unify NMEA 0183 and NMEA 2000, or you need a device to allow computers and apps to consume data from your existing network, I would highly recommend the Nemo Gateway. If you have more than two NMEA 0183 devices, you definitely should look at the Nemo, as it is one of the only devices out there that can handle multiple connections with extended configuration. 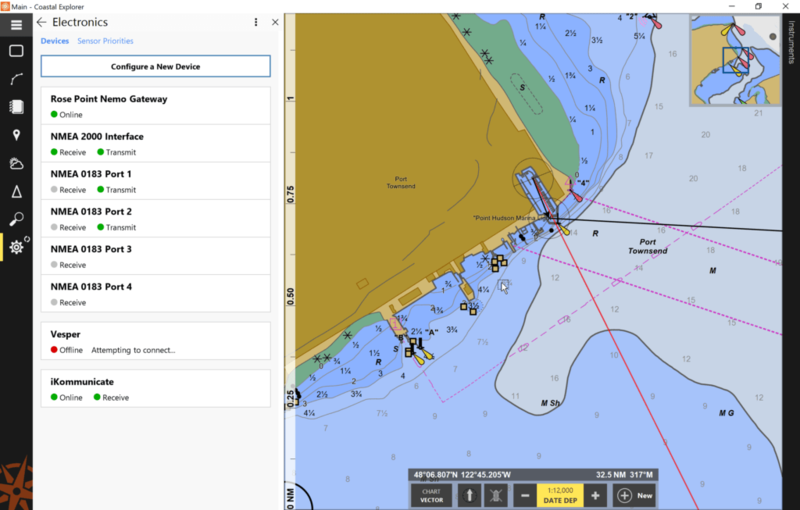 If you are a Coastal Explorer user, it also would be an essential add-on that provides a high quality data stream to multiple PCs around your boat. It is easy to configure, has more options that most gateways I have seen, doesn’t require expensive software or hardware to use, and is extremely well built and designed.